From Mauritius we flew back to Kuala Lumpur, this time staying for 2 nights with a nice couchsurfing couple. It was just enough time to have some laughs and to give Sasha the whirlwind tour of the Petronas towers, Merdeka square and the city centre. It still feels so familiar after multiple visits over the years and is somewhere I really don't mind going back to. Kuala Lumpur is a much more manageable and pleasant capital than most in Southeast Asia, feels safer and has a great variety of yummy food. Sasha agrees. Why not stay longer in Malaysia? Like Mauritius, our next destination was also determined by a flight price I couldn't ignore. 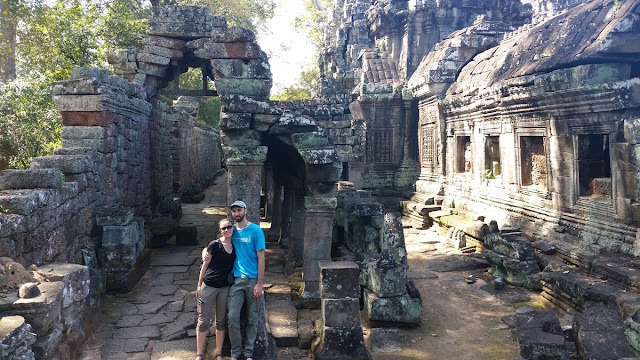 We flew one-way from KL to Siem Reap in Cambodia for $10 each. Siem Reap is the city beside the amazing Angkor Wat ruins and I was looking forward to a revisit and for Sasha to finally see them. We also met up with Bre who flew in to join us for a week. We flew in, got our visa at the airport and a tuktuk to our hotel. I know I didn't arrive by air last time I was here, back in 2003 (it was a long, dusty, bumpy ride in from Thailand), but when we got into town I had no idea where I was. Nothing looked familiar. I've returned to many places over all my travels. Lots of places change (including back home in North Vancouver) but this was night and day. No, that metaphor doesn't even begin to do it justice. Nothing was the same. I began to question where I was. In 14 years they'd developed the place from a quiet backwater with dusty streets, where you hung out in a run down hostel and rode around on the back of a motorbike taxi, to a noisy, bustling, city of wide boulevards lined with upscale hotels. I think this was one of the biggest culture shock moments of my life and it was to continue in the days ahead. 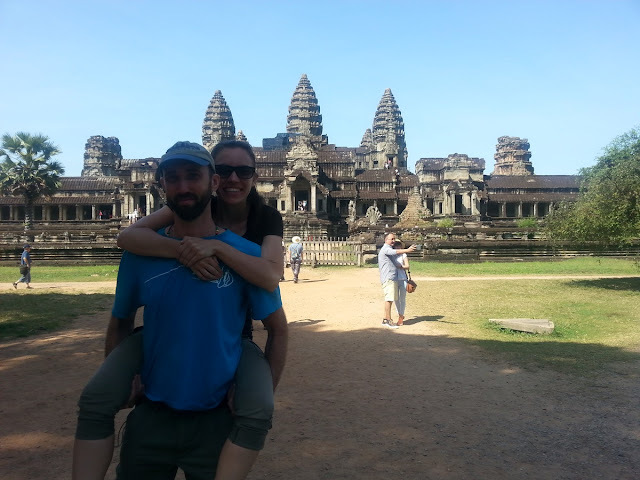 We met up with Bre and the next morning hired a driver to head out to the ruins of Angkor Wat. There are now so many busloads of tourists visiting (especially from China) that they've had to build a huge ticket processing centre on the edge of town to deal with everyone (and try to sell them souvenirs). They still have single and multi-day entry tickets. I think the 3-day pass is the best option and we used ours for just 2 days though there was still a lot we didn't visit this time. 1 day is simply not enough, especially with the crowds. I hate to say it. It pains me greatly to say it. Angkor Wat is now the textbook example of how mass tourism can ruin an experience. I've been raving for years about how it was one of the best experiences I've ever had but it simply isn't that place anymore. From the big parking lots to numerous areas within the ruins now off-limits or under construction, to boarded walkways and new stairs and paths to climb the ruins and the hills, there were huge sections I didn't recognize anymore or were not as intimate and exciting. We had to wait in line for 45 minutes to get to the uppermost level of the main Angkor Wat temple because they limit the numbers. 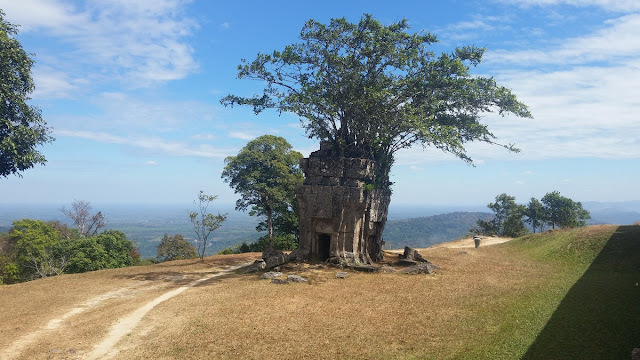 Also, for the sunset view from the ruins at the top of the hill at Phnom Bakheng, the numbers allowed are so limited and the demand so high that unless you are up there at least 2 hours early you have no hope. We got to the top way early to have a look because we were in the area. Noticing that it wasn't going to be a great sunset that night we opted to head back down. The line waiting below hoping to get up was soul-crushing. I understand why it has been done. I don't blame them. Mass tourism requires a different kind of management and preservation and some places simply become too popular for their own good. There is also a significant amount of work required to combat the destructive effects of nature as well. I have seen the future of global tourism and it doesn't always look good. But I was in shock. 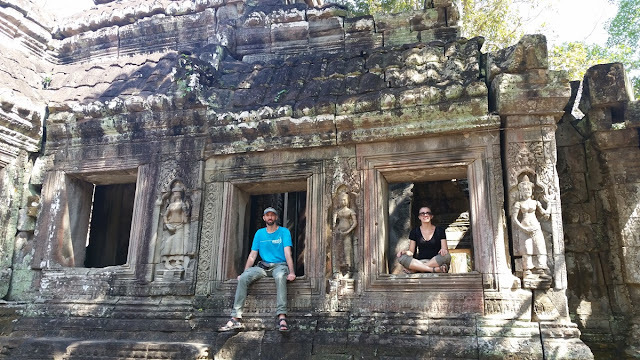 Sasha and Bre loved it and there is no denying that Angkor Wat is still one of the most impressive ruins on the planet and something every traveler should hope to see. 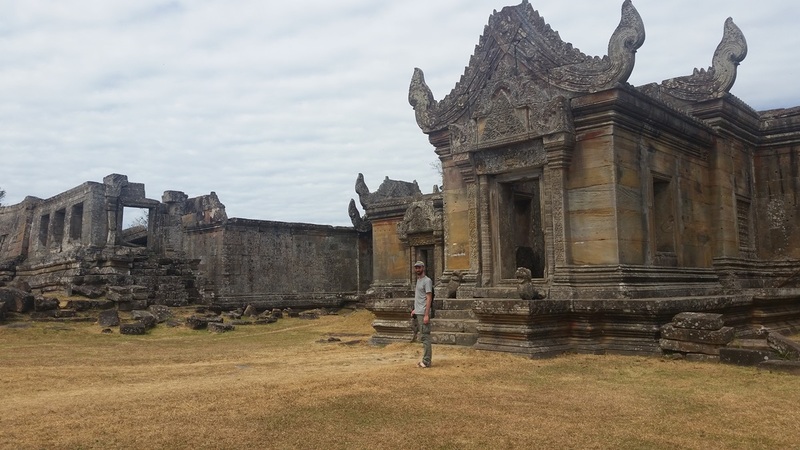 We spent two full days at the site, checking out the big and little loops on different days, stopping off to explore the different ruins, trying our best to capture that Indiana Jones atmosphere. 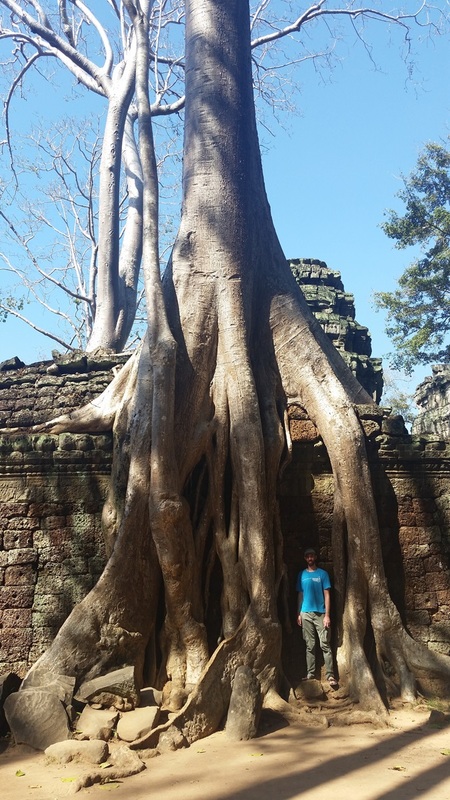 There is something special about those massive trees and roots engulfing the ruins. Our best results were at some of the smaller ruins and my favourite for scrambling this time was the Preah Khan temple. It is large enough that you could still get away from most of the crowds. 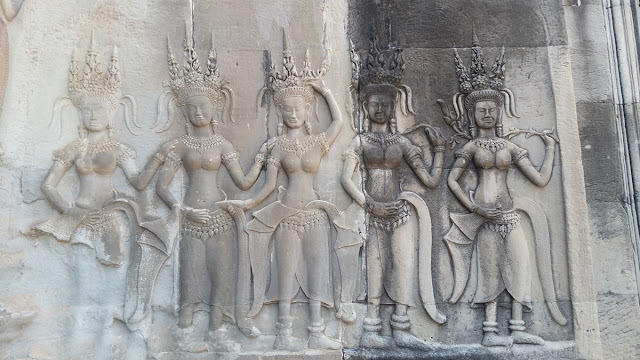 The multitude of stone faces staring back at you at Bayon will always be a highlight too. Unfortunately due to the nature of our trip and the short timeline on our next flight out from Bangkok we had to keep moving. 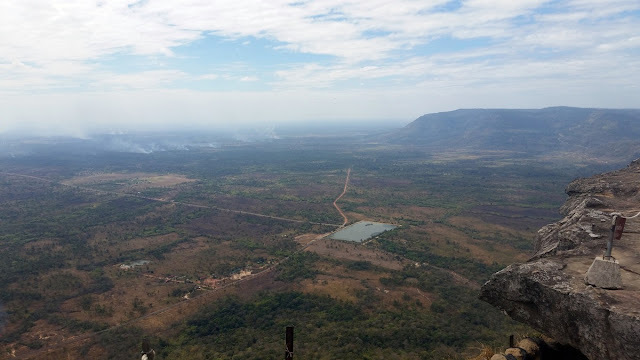 If there is one place in Cambodia I don't long to revisit it is the border with Thailand at Poipet so I planned a more roundabout route that would get us off the main tourist route a little bit. 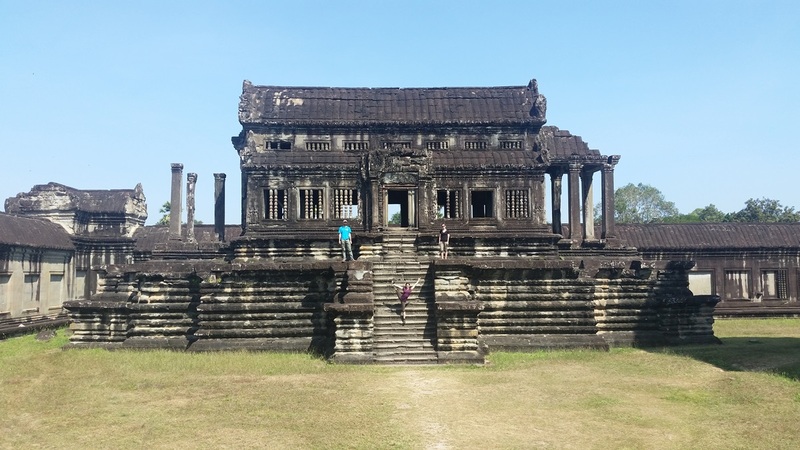 A site in Cambodia I'd always wanted to see was the temple of Preah Vihear in the north on the border with Thailand. This temple has been the subject of disputed ownership between the two countries to the point of soldiers shooting at each other and the temple being off-limits to visitors. Things seem to be settled now but most tourists still haven't ventured up that far yet. 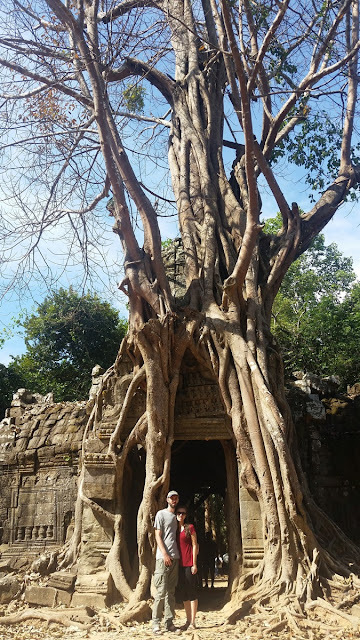 Public transportation options are limited or would take too long so we ended up hiring a car and driver to take us to the temple a few hours away and on the way back drop us off in Anlong Veng instead of the full return. This would enable us to cross into Thailand the next day at the northern border of Choam. 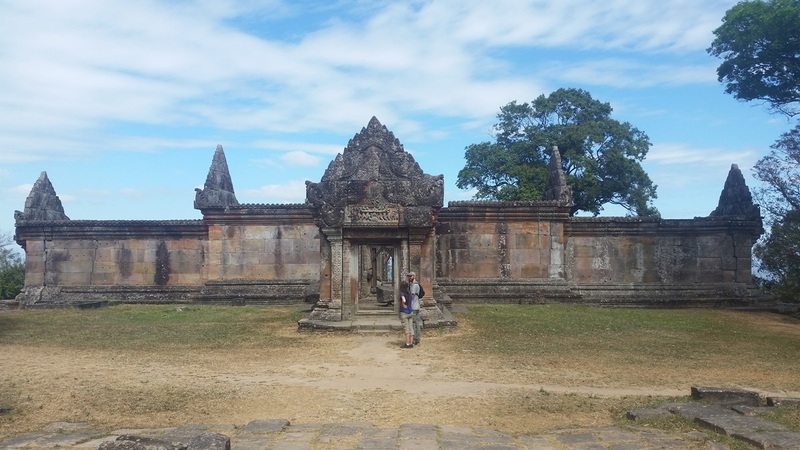 Preah Vihear is not a huge complex. It is all about the dramatic location as it sits on the edge of a cliff overlooking the plains below. A car can only get you so far. Then you have to get a second ride up the steep and windy road to the temple. Choices are either on the back of a motorbike or in a 4WD. We chose the motorbikes, a choice Sasha was not fond of and is not for the faint of heart. As a result of the border disputes, there are still soldiers from both sides stationed at the temple and/or nearby. 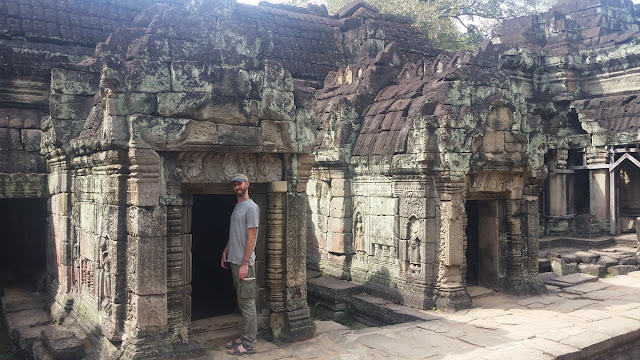 It wasn't intimidating, but quite awesome that the handful of Cambodian soldiers managed to outnumber the tourists and we were able to leisurely wander and explore to our hearts content without the crowds. I loved it.